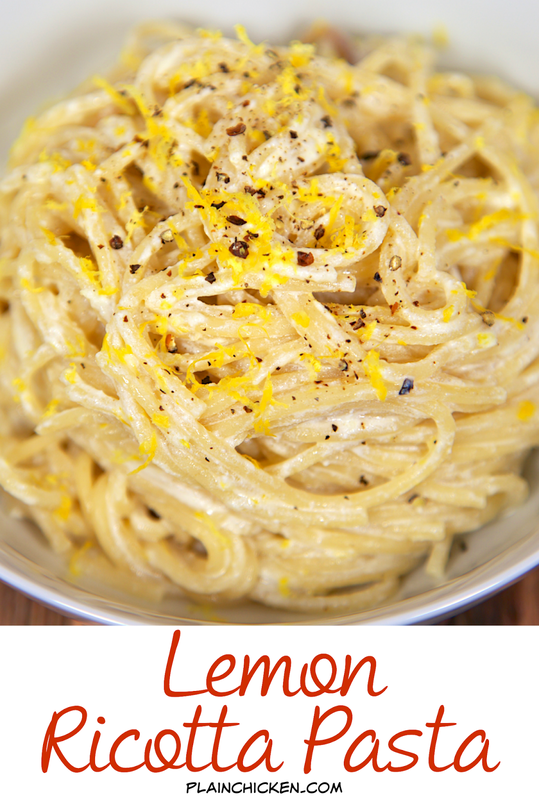 Lemon Ricotta Pasta - only 4 ingredients! Ready in 6 minutes. Super quick and easy side dish. Can add some rotisserie chicken and make it a complete meal. 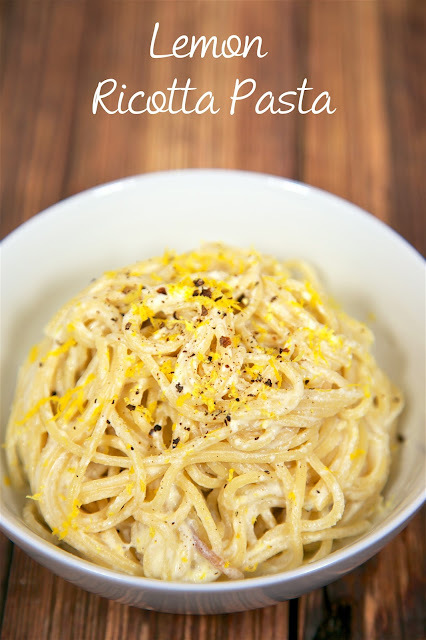 We love this delicious pasta! This pasta couldn't be any easier or any tastier! We loved it! It only has 4 ingredients! 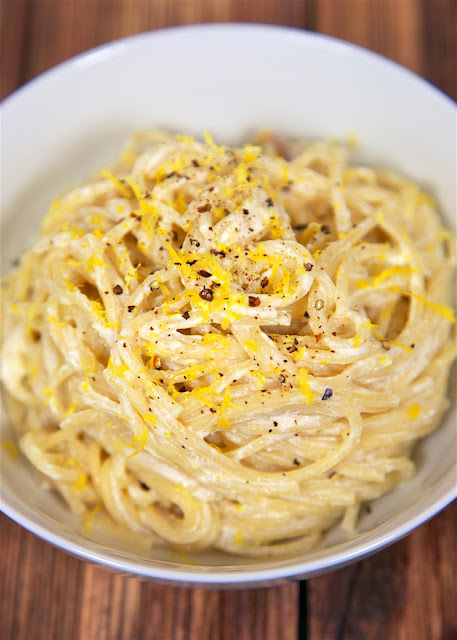 Pasta, lemon, ricotta and olive oil. This is the perfect side dish for grilled chicken, pork or even steak. It only takes a few minutes to make and tastes great. You could even add a little chopped rotisserie chicken for a complete meal. We've made this several times and love it. We like to use whole grain pasta. It is also good with a little parmesan and pepper sprinkled on top. Give this a try the next time you need a quick and delicious pasta side. Bring large saucepan of salted water to a boil. Add spaghetti and cook 6 minutes, until tender but still firm to the bite. Drain pasta, reserving 1/2 cup cooking water. Stir together ricotta, olive oil and the zest of 1 lemon. Add cooked spaghetti to ricotta mixture. Season with salt and pepper. Add reserved cooking water if needed to thin. Divide pasta among 4 bowls or plates. 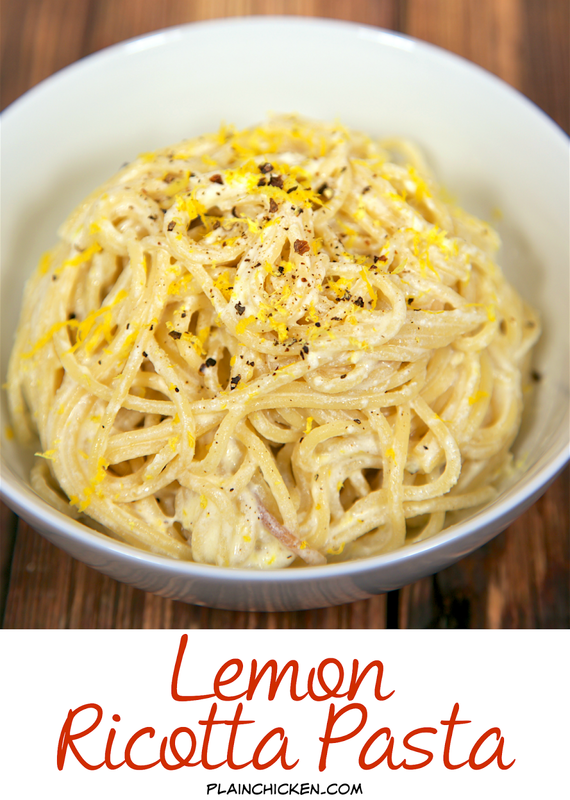 Zest remaining lemon on top of pasta. Serve immediately. It's only 9:00 a.m. and I WANT THIS PASTA.